0035051501510 is the EAN barcode, also known as the International Article Number, for this item. 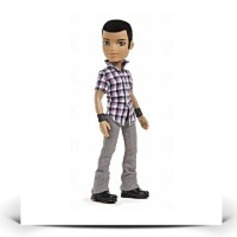 The Bratz doll is 12.5"H x 5.5"L x 2.5"W. How to buy the Party Boyz Dylan . To learn more about this Bratz doll, check out the shopping cart button on this page. Package Dim. : Height: 2.5" Length: 12.6" Depth: 6.1"